As always, mdgardner.com is here to help. Call me with questions at 604.889.3822 between 8AM and 6PM Pacific Time. Shock buffs, pack of for your 1911 style recoil system. 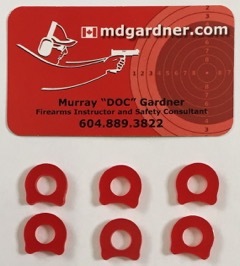 These little red beauties save the pounding your frame takes when the gun recoils. Cheap like crazy and valuable insurance to extend the life of your pistol. 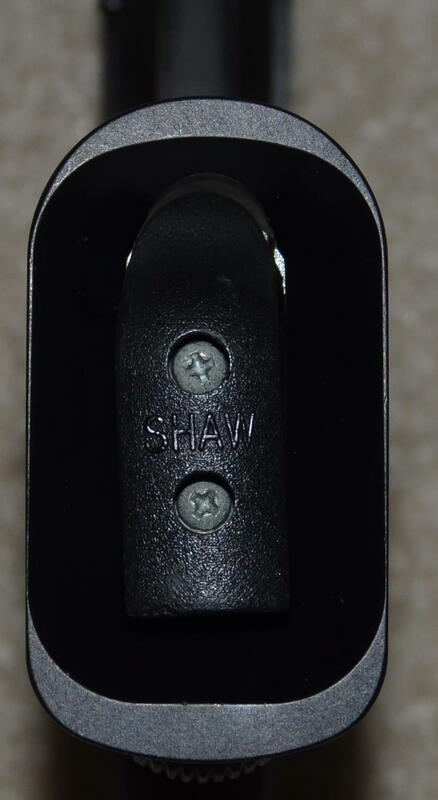 Fits standard fiber optic sights. 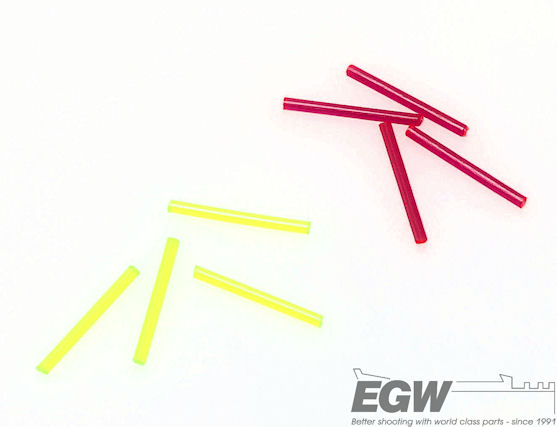 When you order, please specify 1mm or 1.5mm, as well as red or green. NOTE: When installing the fiber optic rod, some shooters like to use a small dab of crazy glue where the rod will touch the middle support of the sight. Do not put glue on the front support or the back support as it will be much more difficult to uninstall/reinstall the rod for future modifications. 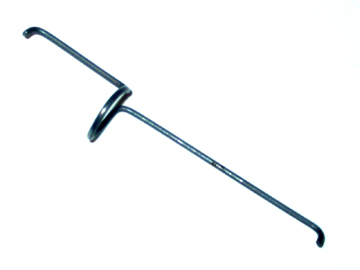 This unique Steel clip is designed to capture the recoil spring plug on 1911s using the reverse plug system. 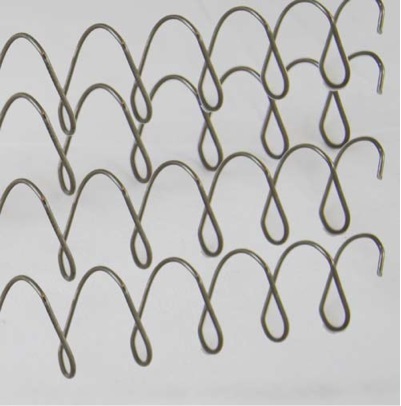 Replaces bent paper clips or small nails, which are cumbersome to use. Slip the loop portion of this clip over the guide rod and slide until the end is positivity engaged with the retention hole in the rod. This allows for a controlled release of the slide in disassembling a pistol by capturing the recoil spring until it is purposely removed. Dis-assembly becomes smoother, easier, and prevents mishaps. A perfect addition to the workbench, range bag, and cleaning kit. 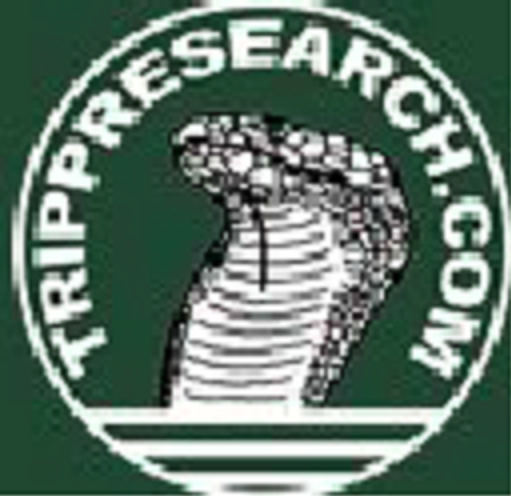 Buy several and always be prepared when the need arises. I am pleased to offer the successful Adjustable Thumb Rest, in a new, narrower configuration, especially designed to fit the box for Standard Division shooters. The new paddle width is 11mm (down from 16mm) allowing a standard STI Edge to fit easily into the box with this Thumb Rest attached. The DAA Adjustable Thumb-Rest allows you to do what no other will – to adjust both the angle and the position of your thumb-rest with just a turn of a screw! 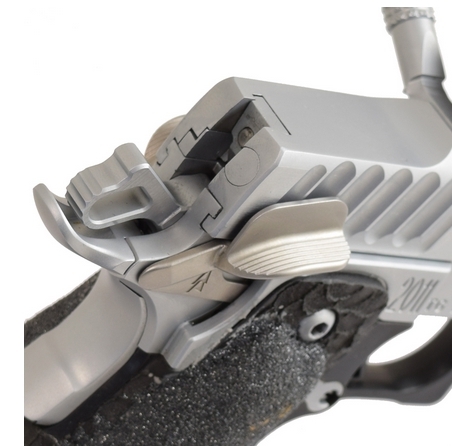 The benefits of mounting a thumb-rest on the pistol are well established, and many top shooters choose to use one on their competition guns. These are legal for both Open and Standard Divisions, as long as the box restrictions are met. The biggest problem, however, is deciding where exactly to mount the thumb-rest, and what angle will best suite your shooting grip. Once mounted, other thumb-rests are difficult or impossible to reposition, as the screw holes are already drilled into the frame. And why should you be limited to the elevation angle decided on by one manufacturer or another? No longer! You can now adjust your thumb-rest as you like, experiment, and readjust as often as needed. 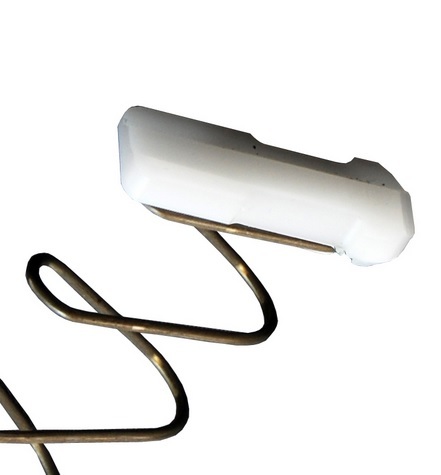 This unique original design allows for unlimited adjustments within a range of about half an inch, and these adjustments can be done without removing the thumb-rest from the frame. You can adjust the paddle even as the base remains locked in place. These precision-made stainless-steel are MIM tech made. For use only on any 1911 or 2011 pistol,with some minor fitting required. ALWAYS have a competent gunsmith fit your parts. These safeties offer a winder and longer paddle on the left side with a smaller, yet sizeable right side paddle for those left hand stages(I love ‘em:). They are also designed to be just narrow enough to fit the Standard Division box requirement. There is room between the slide and safety to not make contact and cause malfunctions. If, like me, you don’t need/want the wings, have your gunsmith remove them when they install the safety. The second generation Brownells 1911 magazines combine heavy duty construction with the reliability you've come to expect from a century old service firearm. 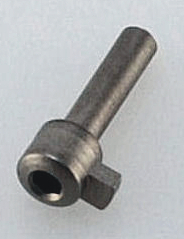 The body and follower are constructed from heat treated stainless steel, with witness holes for a fast round count. Xylan~ exterior coating provides corrosion protection, as well as a slick, friction reducing finish. The anti-tilt follower is mated with an extra-power spring. 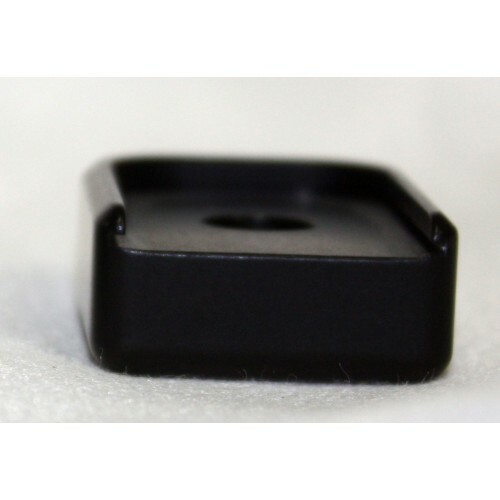 The removable polymer base pad allows easy disassembly, as well as drop protection when changing magazines on the fly. They work with the TechWell system too. These are one of the best after market .45 ACP mags I have found. Buy them with confidence to know they will work. 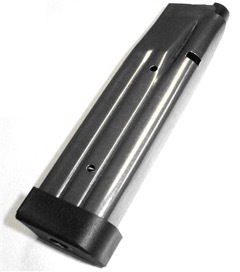 The STI 2011® Magazine is manufactured out of 410 stainless steel, producing a magazine with longer life, greater strength, and better corrosion resistance. 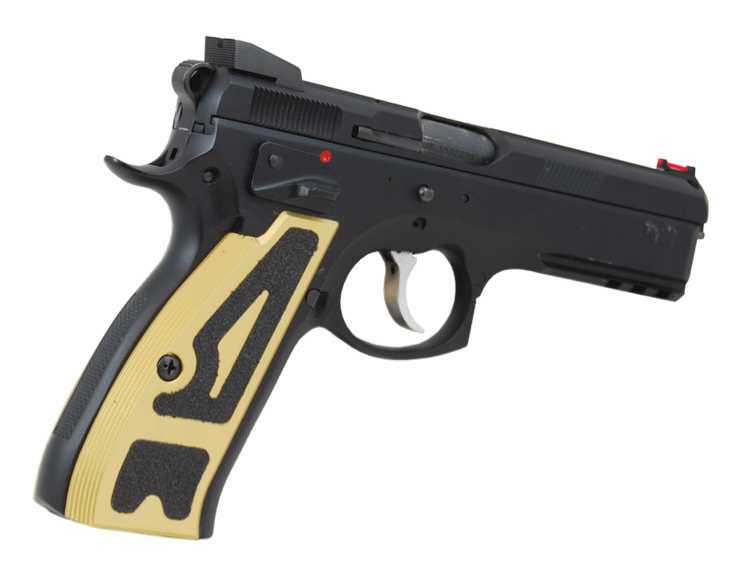 STI 2011® magazines are built specifically for all STI 2011® style pistols and frames. 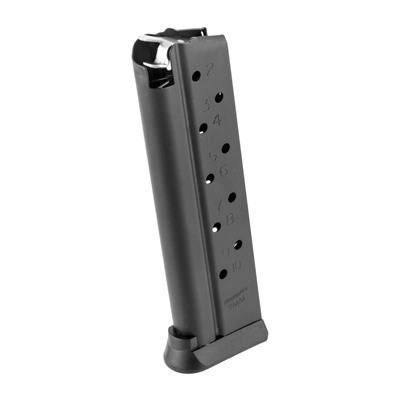 In combination with the STI 2011® frame, the STI 2011® magazine allows for maximum round capacity. In Canada, plugged to 10 rounds. The new, 9mm only, body has witness holes so no more guessing how many it is holding. Those of you with double stack mag STI guns, like me, have to make changes as well. I am now using the good old 10 shot only dented side 126mm STI mags. A bumper is easy to find that comes off quickly for cleaning. As well, they go into the box easy as pie. These longer mags are designed for Open Guns as they won’t fit the box. If you are running an Open Gun in 9x40 or similar, these pinned units are the way to go. Also make a good practice mag for Standard. 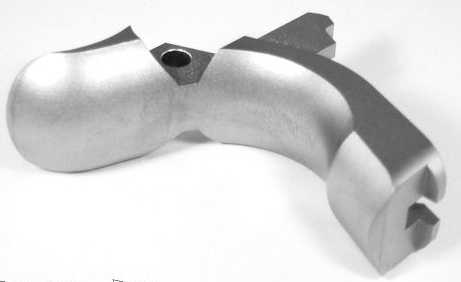 The DAA CZSP01 aluminum grips are made of top quality 6061 aluminum. 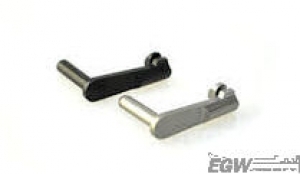 They are precisely machined for a snug fit on your CZSP01 frame to prevent wiggle or unwanted movement. Assembly uses the original grip screws. 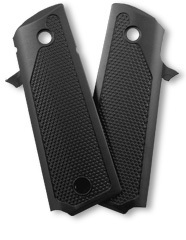 Laser cut M3 grip tape is supplied for you to apply, if desired, into machined pockets. These thin grips narrow down the grip to approximately 29.4mm and make reaching your mag release easier. Add $10 for red and silver, 1911 only. at the same time, and save $10! For those of you wanting to get that grip bang on and hold on, the Aggressive grip is the answer. As Alumagrips are designed to work with the Techwell, get both and your reloads will feel like a wide body frame. Techwells cannot be used without the Alumagrips that hold them in place. The Techwell XT fits the Classic Division box and mag well dimensions. Your grips need to be modified, or you can use the Alumagrips. Also requires an extended mag base pad on all magazines. 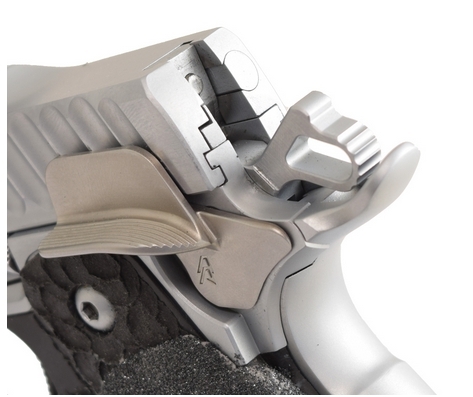 The Techwell Magwell can be bolted on by itself. Available in standard black. Note that these grips are also available for Para Ordnance. * Not compatible with: The Wilson beavertail cut. In order to utilize the EGW beavertail grip safety on a Springfield or Caspian frame, you will need to weld the tangs. 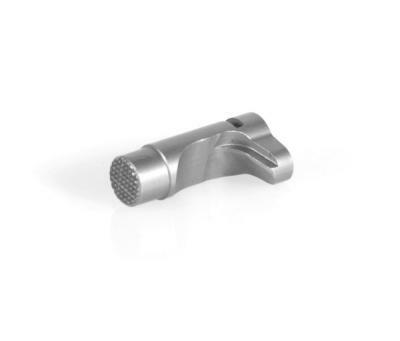 * Machined from bar stock in stainless steel. Compatable with: Most high quality 1911s - will not work in double stack or high cap 1911s. The shelf on our EGW Higher Mag Catch is .020 higher, to hold the magazine higher in the frame. 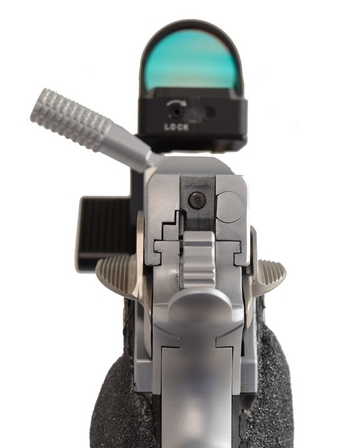 Guns that have issues with nose dives will benefit from the higher mag placement (provided there is a small gap between the magazine and the frame in the front). The result is better feeding with 8 round 45 mags and hollow points. The higher mag catch is checkered for better grip. This part is NOT MIM or CAST. Our mag catch is NOT tapped for buttons. This stainless steel lock is machined from 17-4 PH and vacuum heat-treated for a long service life. Available in Stainless Steel. This spring is longer and stronger than the originals supplied with most magazines. Will clip on to Arredondo followers, but can be easily fitted to work with most other followers as well. Only available for 1911 hicap guns. These Followers can be used in shorter 9mm mags as well (with spacer found on this page) by shortening 1.5-2.0mm off the back end. 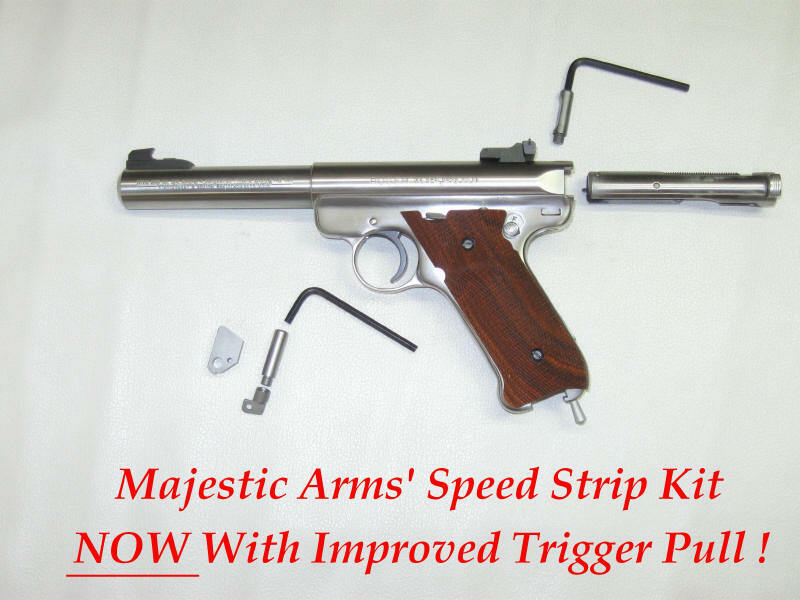 Anyone familiar with the Ruger .22 auto pistols knows it is extremely difficult to field strip and reassemble. This is a simple retrofit kit that enables you to readily convert any Ruger .22 auto pistol in existence to the new system in a matter of minutes. This patented retrofit kit will work on any Ruger .22 auto pistol (Standard, MK I, MK II, MK III, and 22/45). This conversion DOES NOT require any special tools or modifications to the pistol, nor does it interfere with any of its normal functions. Anyone with basic hand tool skills can perform the conversion in about 15 minutes, even me;) Each kit comes with 3 pages of easy to understand illustrated instructions. 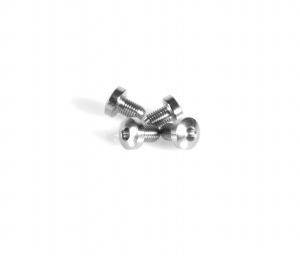 Stainless steel hex head 1911 grip screws. No more twisted slotted screws. Add this base pad so that the mag works with a TechWell system, fits the box and you are stylin' in Classic Division. Black only in stock, colours available on special order. 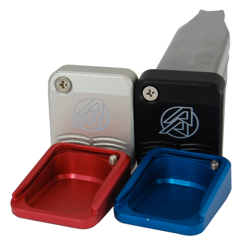 Made of top quality aluminum to tight tolerances and hard anodized. fit snugly onto STI/SV/Para/Bul mag tubes allowing just a bit of wiggle. Spring tension keeps them in place and a self-locking set-screw had been added for extra confidence. The pad is hollowed out so minimum thickness is achieved and edges radiuses for inner strength. Come with a 5 year warranty. Mag base pads, designed for STI 126mm mags and fit Para as well. Mag base pads, designed for STI 140mm mags and may fit Para as well. Our Customers have requested it so we made it. The CR Speed Platform Retro-fits any CR Speed Model, for Shooters who want an alternative to our standard Muzzle cup. The Platform is supplied with 3 Inserts allowing it to be used with popular IPSC Calibres Incl. 9/38, 40 & 45. The Platform can also be reversed for Short or long Pistols & has 2 heights to accomodate all popular IPSC Pistols. Murray, thanks again for solving my Dillon parts problem. Your innovative approach and customer service first attitude in accommodating my request is a model for others to follow.